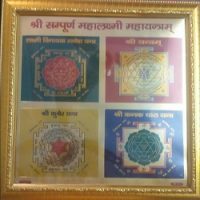 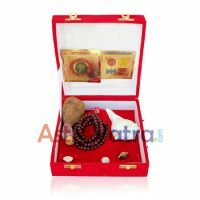 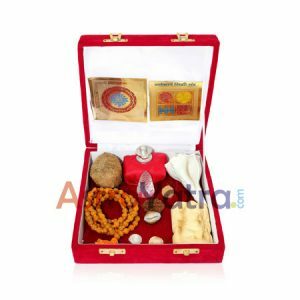 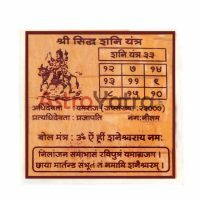 It is very auspicious and powerful for each people .Who use this package to worship gets benefits in his/her life.This package can be situated in the place of worship. 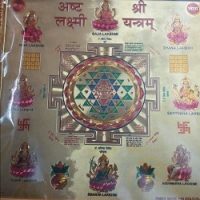 It influences the people by its miracle. 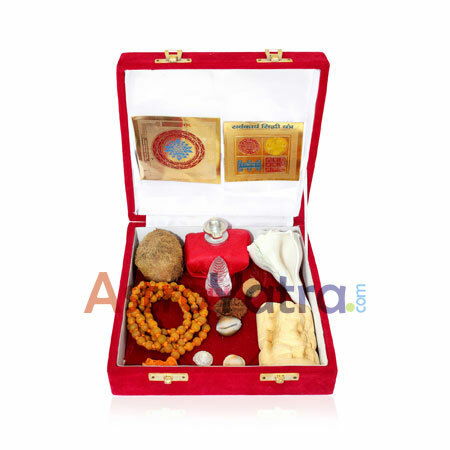 You can use PARAD SHIVLING, SPHATIK SHREE YANTRA, SHWETARK GANPATI, EKANKSHI NARIYAL, DAKSHINA VARTI SHANKH, LAGHU NARIYAL, KALI KODI, GOMATI CHANDRA, HALDI MALA / Rudraksh MALA / CHANDAN MALA- ANY ONE, SHREE YANTRA/ LAKSHMI YANTRA, MOTI SHANKH to worship , are free with SARV KALYANKARI SAMPOORN GOLDEN PACKAGE.